A valid VCPR must be established prior to a veterinarian treating or providing services to a client and their animal(s). Exceptions may apply in specific circumstances (see below). Services include providing animal health recommendations, prescribing, dispensing or administering drugs. This document is meant to provide Ontario farmed-animal veterinarians with an overview of the requirements for establishing, maintaining, and terminating a VCPR. These regulations are set out by the College of Veterinarians of Ontario, as such please visit www.cvo.org for the most current and up to date information on these policy requirements. 1 Such as a member providing services in ophthalmic, cardiac, or deafness screening clinics or conducting electronic identification device (EID) implantation programs in accordance with College policies. Obtains consent from a client who is over the age of 18. Ensures the consent relates to the diagnostic procedure(s), intervention(s) or course of treatment. the consequences if the proposed action is declined. Answers all questions and ensures that the client understands the information provided. Discloses if auxiliaries or other veterinarians may provide some or all of the care of the animal(s). Provides an estimated cost of the intervention, using a range when appropriate. Indicates in the medical record that consent was obtained and, for interventions or courses of treatment that are of higher risk, obtains consent in writing where feasible. Understands that revealing information concerning a client, an animal, or any professional service performed for an animal to a person other than the client or another member treating the animal is not permitted without the client’s consent, except when doing so is required or authorized by law. 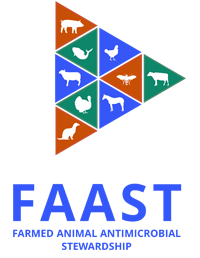 cGroups of Animals – Veterinarians may use a herd-health model to provide services to a group of animals (such as at shelters or with breeders). dHerd Health – In herd health medicine, the veterinarian does not always need to examine each animal on the premises before making medical recommendations, but, through periodic visits to the premises and discussions with the client, he or she must acquire and maintain a current understanding of the level of husbandry practiced on the premises, and of the client’s abilities with respect to recognizing signs of disease and administering drugs and implementing treatment plans. CVO. 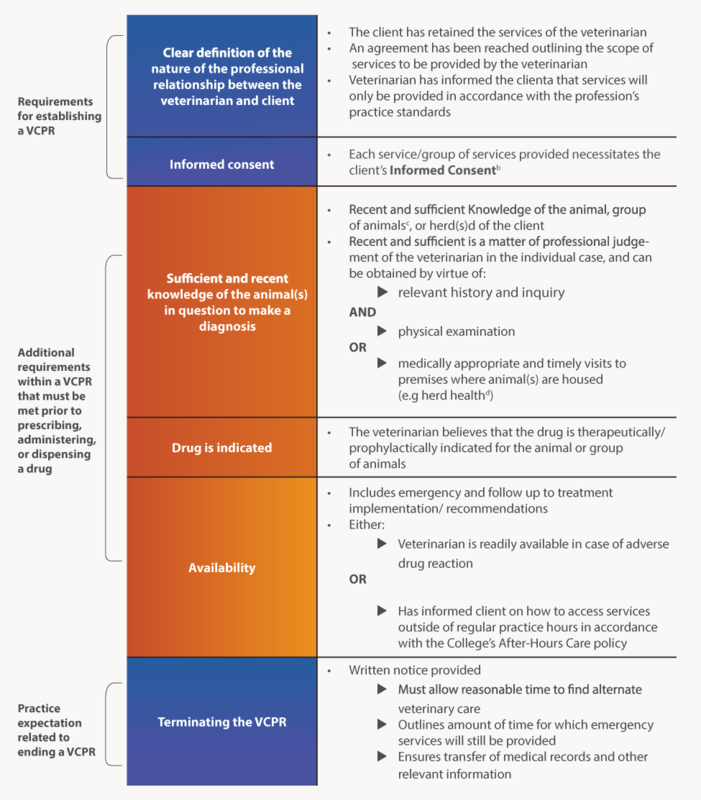 PROFESSIONAL PRACTICE STANDARD: Veterinarian-Client-Patient Relationship (VCPR ). Coll Vet Ontario. 2016;(July):1-4.